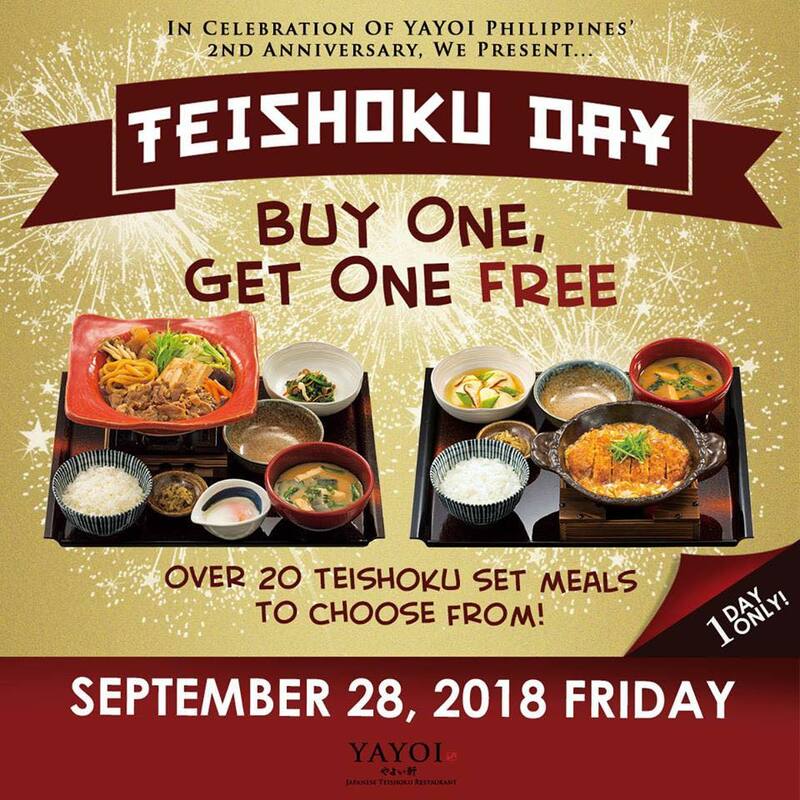 In celebration of YAYOI's 2nd Anniversary, They're bringing back the country's first and original TEISHOKU DAY on Friday, September 28 2018! 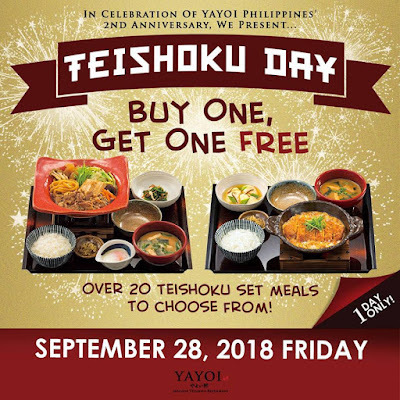 Enjoy Buy One Get One on ALL Teishoku set meals! Head over to YAYOI's branches at SM Megamall and SM Mall of Asia!